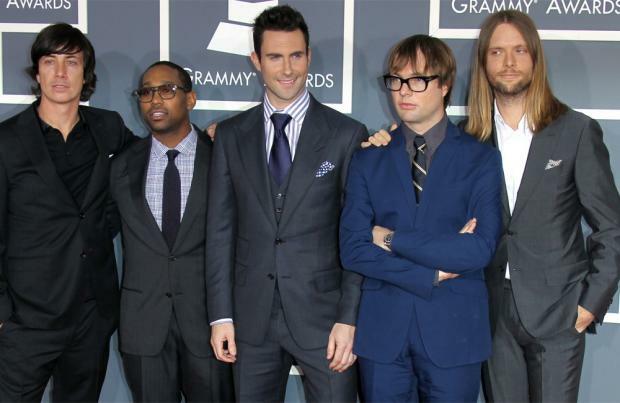 Maroon 5's record label didn't want them to release 'Moves Like Jagger'. The group's 2016 single has gone on to become one of the best-selling tracks of all time but they defied recording executives to perform it on 'The Voice' and it quickly took on a life of its own. Songwriter Benny Blanco recalled: "IT instantly went to number one on iTunes. "Before, the label were all 'anti' and then they were like, 'F**k the song we have at radio, let's go with this song.' It just became this big thing." Benny – who has written for the likes of Kesha, Britney Spears, Ed Sheeran and Justin Bieber – still favours dealing directly with artists rather than record label executives. He said: "I don't want to convince some old rich white guy in a suit. I wanna convince kids that the song is good." And the songwriter thinks the way streaming has changed music has made things more "exciting" for fans. He told Q magazine: "You can't shove music down people's throats like you did. "When we were younger, they told us what the single was and whether we liked it or not and we listened to it a million times and we were like 'Yeah!' Now, that doesn't work. Those big artists aren't working. "It's such an exciting time and it shows the taste o people – people are listening to and finding really cool s**t.
"I go every day and find stuff and I love that the machine doesn't work any more. It's broken." When he's writing pop songs, the former rapper takes great pleasure in making things so "uncool" that they become "cool". He said: "If I was making one of those cheesy songs, back then, I wanted it to be one you couldn't help but like. "I don't care who you are – you can't help but sing 'Tik Tok' when it comes on. "They're almost so uncool they're the coolest songs in the world."